In this post I will be reviewing the large and very popular IC Markets forex broker. IC Markets is a forex broker that allows you to open a forex trading account and trade the forex market through one of the trading platforms they provide – MetaTrader 4 (mt4) being the most widely used trading platform. Apart from being extremely easy to use with a small learning curve, MetaTrader 4 is also the chosen platform for nearly all forex robots. Thus, if you are planning to do automated forex trading with IC Markets, you would ideally want to open an mt4 account. As with most forex brokers, you can open a forex demo trading account to being with and use your demo account details to login to the mt4 trading platform and practice trading with virtual money – you can start with any virtual balance you wish. 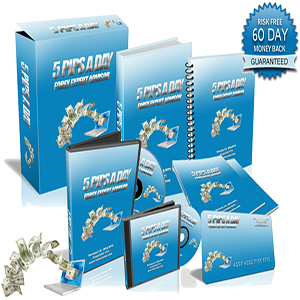 This is a great way to become familiar with trading forex manually or automated before risking your own money on a real trading account. It is recommended to practice demo trading with IC Markets until you consistently generate a profit at which point you may wish to start on a small real trading account initially to see how you transition from demo to real account trading as there can be more emotions involved such as fear and greed once you do start trading live. IC Markets offer a variety of different forex trading accounts to cater for all forex traders needs. IC Markets has a great advantage of being a True ECN forex broker with a large range of instruments to trade across all of the different account types, including a huge portfolio of forex currency pairs. Of course, the most popular and widely traded instruments the EURUSD and GBPUSD are there, these pairs tend to have the most liquidity and thus some of the lowest spreads and slippage, which helps with your trading costs and trading results. You can view my article on ECN forex brokers to see why they are the preferred option of forex brokers. IC Markets various accounts are suited towards both new and experienced traders, you just simply choose your preferred trading platform (mt4 recommended for reasons mentioned above) and pricing model to get started. Pricing models include accounts with floating spreads dependant on liquidity (the more liquidity the better the spread as there is greater demand for that currency pair) and a fixed small commission or you can trade with ZERO commission and a small mark-up on the spread to cover the brokers costs. In terms of competitiveness, during my many years of forex trading experience, IC Markets has some of the lowest trading costs (spreads and commission) available to the retail forex trader. The true ECN account is my preferred options with this account’s spreads starting at 0.0 pips! True ECN is the key factor that helps to separate IC Markets from other forex brokers. IC Markets True ECN accounts connect forex traders to a very deep and diverse mix of up to 50 liquidity providers, which again reiterates that they provide some of the best spreads and superior execution for forex trading. IC Markets even offer Islamic accounts if this is a requirement of yours. IC Markets has grown over many years to become the largest MetaTrader 4 and True ECN forex broker in the world. They have achieved this by giving us forex traders what they really want – which is low spreads, plenty of liquidity for minimal slippage to ensure we get our trades filed at the prices we want, low commissions compared to other forex brokers and 24/7 excellent customer support. IC Markets have also partnered with the world’s best trading technology companies which allows them to bring forex traders the ultimate trading environment and unique cutting-edge forex trading tools. Some of these tools include: Depth of Market (DoM), inbuilt spread monitoring, ladder trading, automated close of trades with custom order templates, and more. Don’t worry if you do not know what any of these forex trading tools are or if you don’t need them, as a standalone mt4 forex broker, IC Markets is a great option. They even have iPhone and Android forex trading applications that have been optimised to provide forex traders with the best possible mobile forex trading experience. 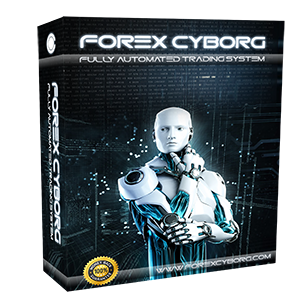 Furthermore, there are no limitations on the type of forex trading strategy you are using with IC Markets as they allow scalping, hedging, and automated trading (forex robots). What leverage do IC Markets offer? IC Markets have very flexible leverage options for forex traders, offering up to 1:500. What deposits do IC Markets offer? IC Markets accept deposits in 10 major currencies with a wide variety of different methods for making deposits and withdrawals which are completed in a very prompt manner based on my experience. What regulation does IC Markets have? IC Markets is regulated by the Australian Securities and Investment Commission (ASIC) and meets the strict capital requirements that they impose. All IC Markets client’s funds are held in segregated client trust accounts with the top Australian banks, thus give the forex trader great security. IC Markets does not use these funds for any operational expenses or other purposes which can give you peace of mind that you are using a strictly regulated forex broker which most comply with very strict regulatory conditions. Overall, IC Markets is one of the best forex brokers that any level of forex trader can use. Setting up a demo or real account at IC Markets is extremely quick and easy with 24/7 support on hand to assist you. They offer a diverse range of forex trading accounts to suite all traders, multiple trading platforms (Mt4 ideal), a huge range of trading instruments, multiple deposit/withdrawal methods and of course, strict regulation. I am personally very happy with them after many years of excellent service. 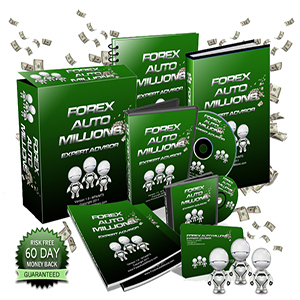 Get My Free Forex Robot! 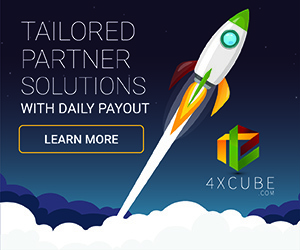 Best Forex Rebates – Get Paid When You Trade! What is Forex Sentiment Analysis and how to apply it to forex trading? What is Forex Price Action Analysis and how to apply it to forex trading? What is Forex Fundamental Analysis and how to apply it to forex trading? What is Forex Technical Analysis and how to apply it to forex trading? What is Forex Leverage and Margin and how do they impact forex traders? What are Forex Spreads and why are they important? Copyright © The Forex Geek. All rights reserved.